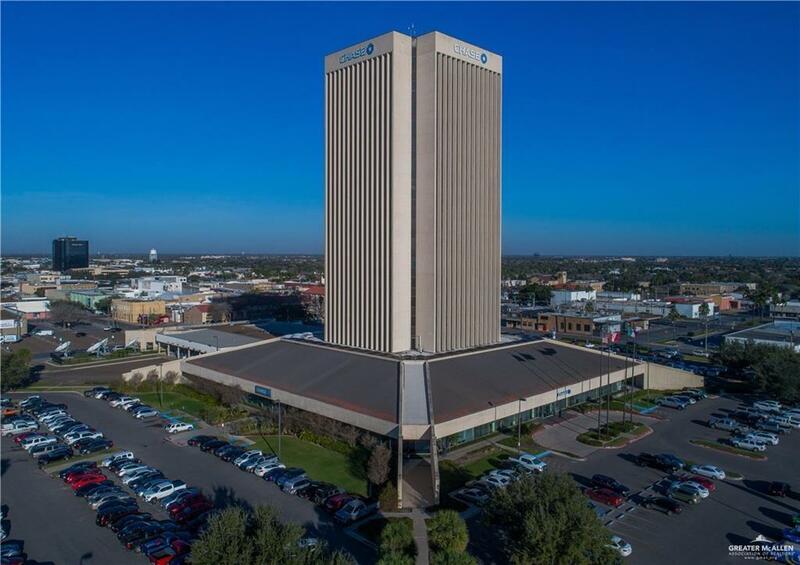 A landmark building in the heart of McAllen's CBD, The Chase Tower offers unbeatable views, 24-hour, uniformed security, on-site banking, and more. This prestigious office building is ideal for any office user and is now offering competitive, all inclusive lease rates. Suites range in size, many of them being move-in ready. Coffee Zone on the ground floor acts as a full service, casual dining establishment offering a full selection of breakfast and lunch items. While many spaces are move-in ready, custom built spaces are possible, and immediate occupancy is available to building standard. The Tower has great proximity and access to U.S. Highway 83, McAllen's Convention Center, The McAllen Miller International Airport, and all major hotels and restaurants.